Finally, the dominance of large-scale MSPs in the major metropolitan areas across five key verticals will make it difficult for smaller providers to compete. Unless they are established dominant players, providers should look at focusing on geographies outside the 107 metropolitan areas in the United States or the five verticals (financial services, healthcare, construction, non-profit and legal) to stand a chance of succeeding. Sixty-one percent of small and medium businesses are now being hit by cyberattacks every year, and the average cost of a cyberattack has increased to $2.2 million, making it extremely difficult for businesses to recover. The sheer volume of cyberthreats that SMBs are experiencing has caused a substantial shift in their risk of being attacked-from minimal to material-meaning that no business is now more than two degrees of separation from a business that has been attacked. What's more, the risk and potential damages associated with these attacks is also increasing-making it extremely difficult for SMBs to protect themselves. MSPs can expect that every one of their clients will have one question on their minds: "how are you making sure this doesn't happen to my business?" And, it will be hardest of all for businesses to admit to end-clients that they've successfully been attacked, because their MSP failed to protect them. Michael George has over 25 years of experience creating, building and leading world-class technology companies. Serving as CEO and a board member of Continuum since it was founded in 2011, Michael is responsible for ensuring the company is empowering its thousands of global MSP partners with the technologies required to thrive in today's $241 billion managed IT services market. Previously, Michael served as CEO of OATSystems, Bowstreet and Interlynx, and held executive leadership positions at TALX Corporation and DEKA Corporation. He is also the founder and a board member for the Continuum Veterans Foundation, a nonprofit organization that provides financial support to local and national charities focused on helping veterans transition to careers in IT. 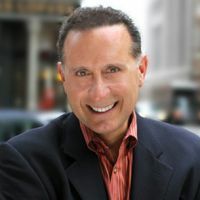 Michael is a frequent keynote speaker, addressing MBA graduating classes at both Harvard and Stanford, and industry events including ITEX, CMIT, Technology Assurance Group (TAG), Business Technology Association (BTA) and Navigate by Continuum, among others.